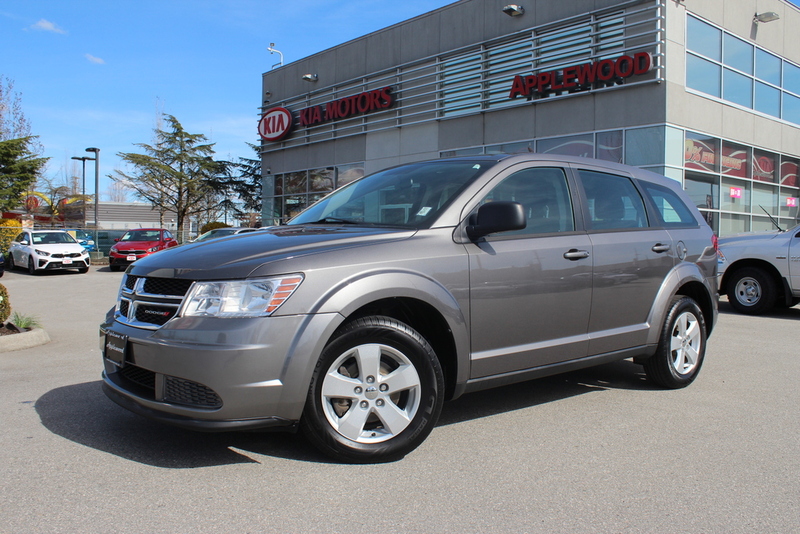 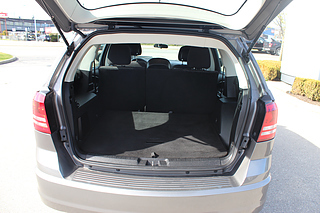 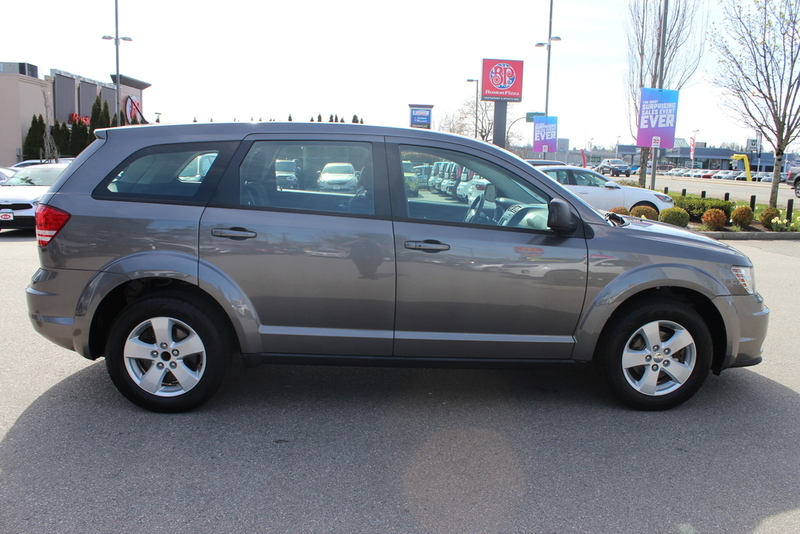 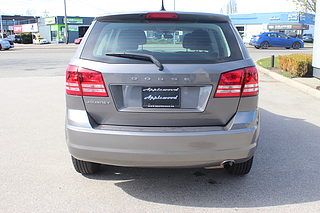 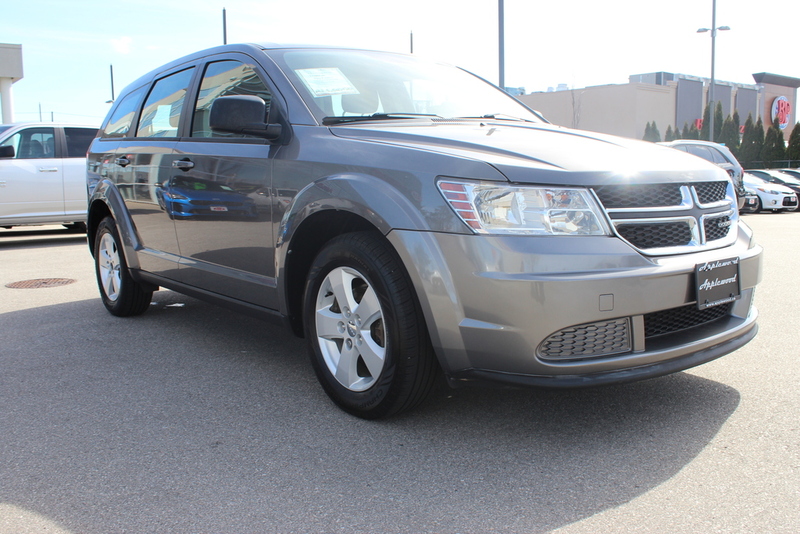 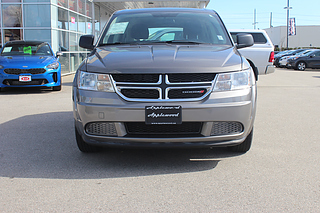 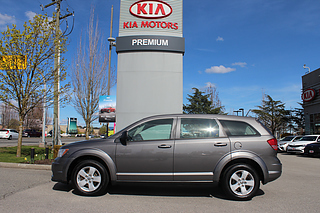 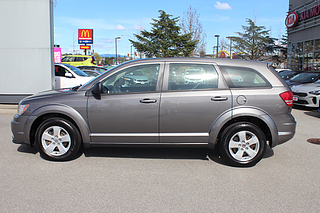 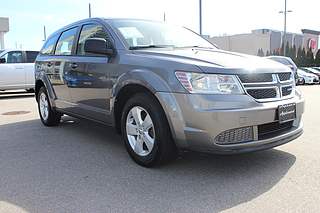 This 2013 Dodge Journey SE is in great condition, and is a great value for families that need more interior space for daily commuting. 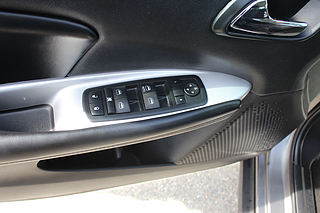 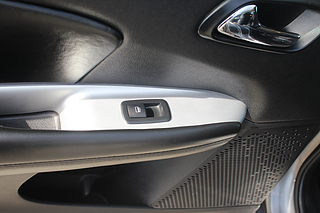 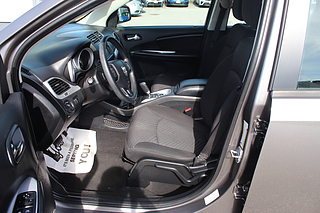 Both the "Storm Grey Pearl" exterior and black cloth interior show little wear and are in great condition. 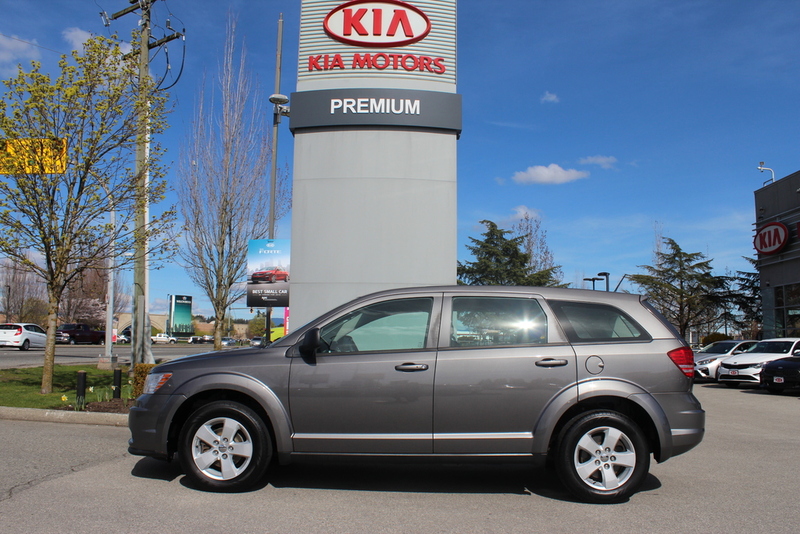 Originally this Journey was purchased new locally in Vancouver and was traded in recently with us for a new Kia. 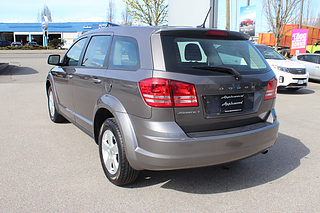 For your peace of mind, we put the Grand Caravan through a multi-point, comprehensive used vehicle safety inspection in order to ensure driving quality. 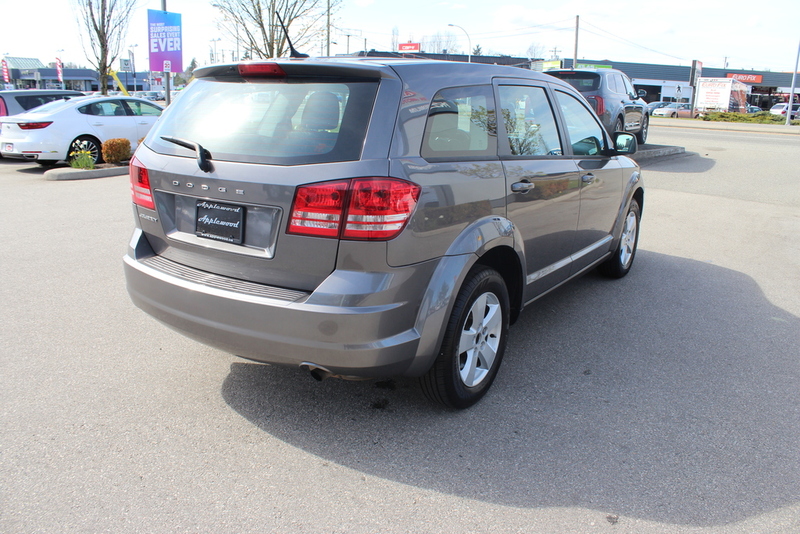 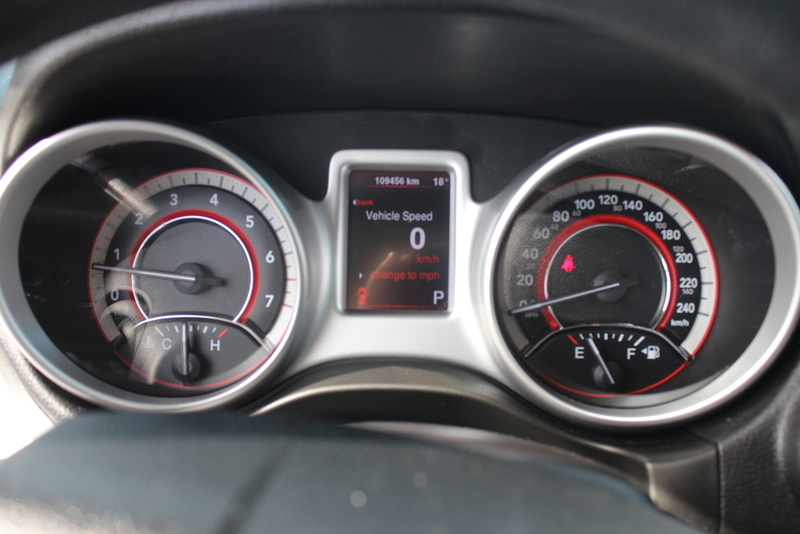 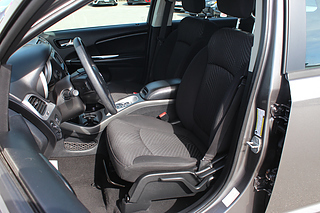 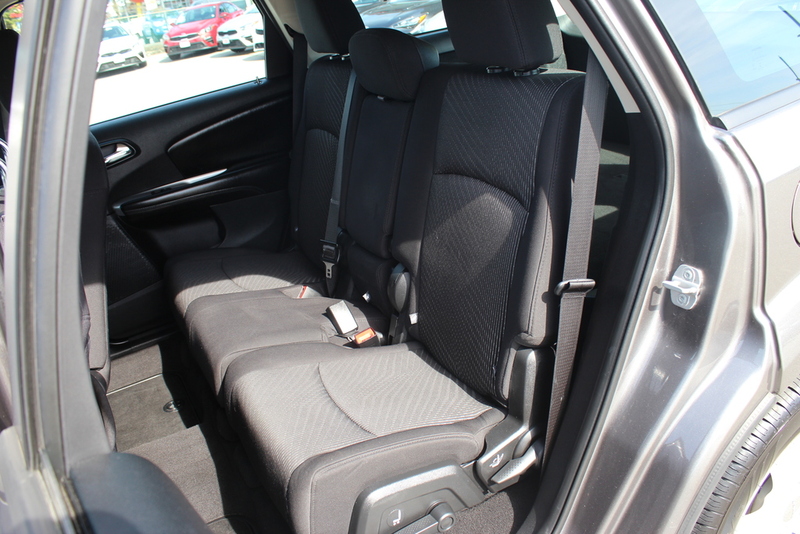 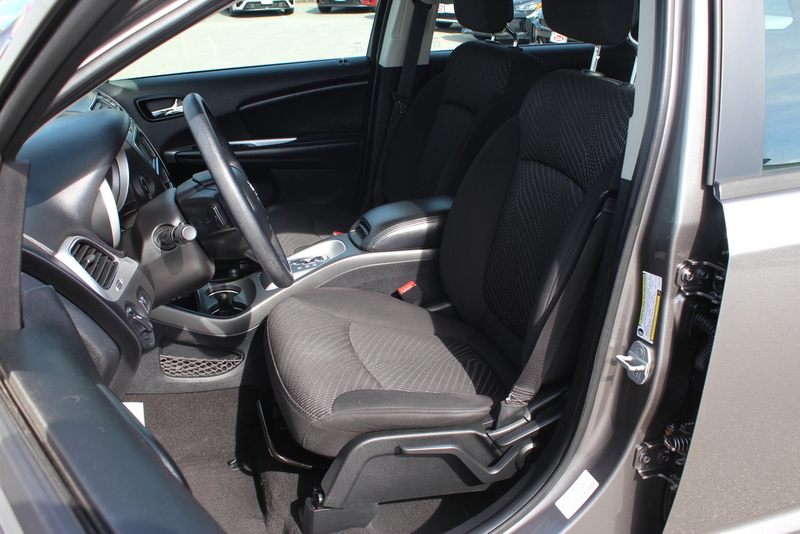 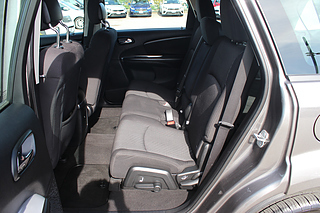 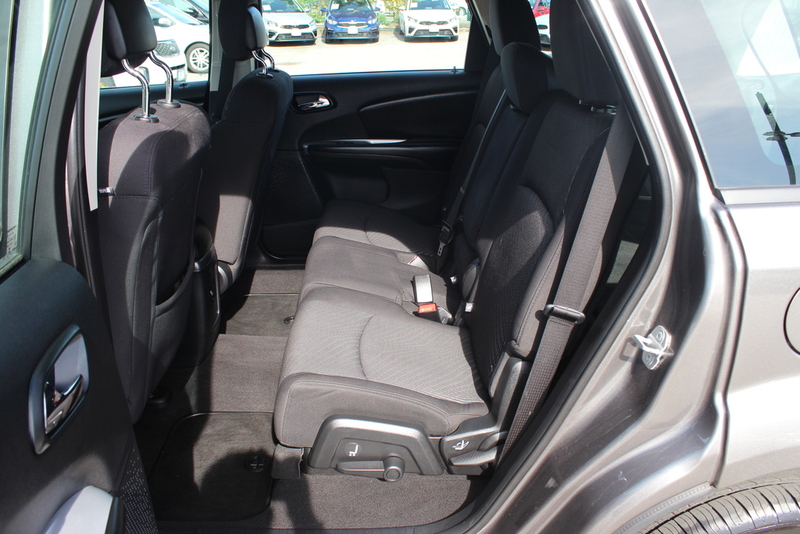 This 2013 Journey is in optimal driving condition and is more than ready for a test drive! 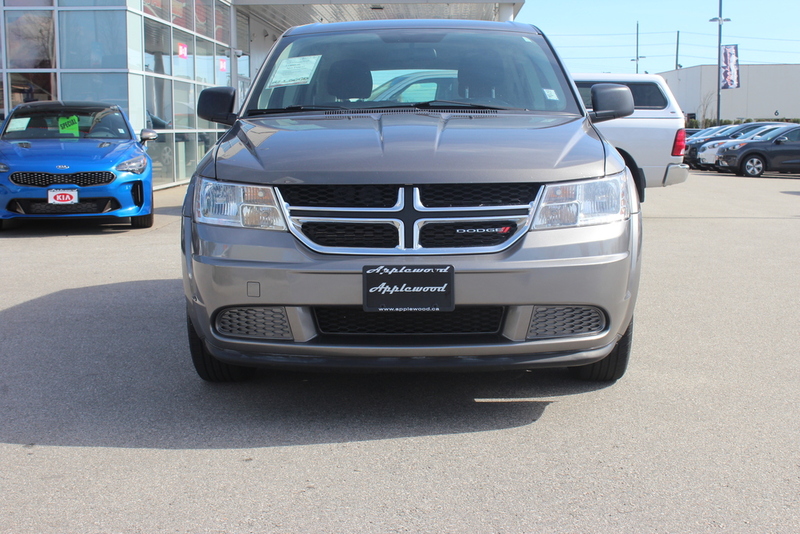 Just some of the features in the 13' SE model include: power windows/locks/mirrors, steering wheel cruise/audio and Bluetooth controls,AC, AM/FM/SXM/CD audio system, Active Eco, traction control and so much more!